Our goal is to have a completely refreshed project with the 2.0 release. We will have a much simpler API, better stability, full documentation and a full test suite for every plugin. Today, we’re proud to announce the first major step toward reaching that goal. 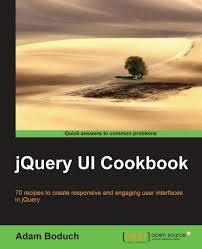 jQuery UI 1.9.0 is now available with hundreds of bug fixes, a bigger and better test suite, and improved APIs. In addition to the code, we’ve also deployed all new sites and improved documentation. The menu widget was technically released in 1.8, but it was bundled inside the autocomplete widget and mostly hidden from users. Menu is now a first class citizen in jQuery UI and is great for inline or popup menus, as well as a great starting point for more complex menu systems. Check out the menu demos and menu documentation for more details. The spinner, or number stepper, widget is perfect for handling all kinds of numeric input. Spinners allow users to type a value directly or modify an existing value by spinning with the keyboard, mouse or scrollwheel. When combined with Globalize, you can even spin currencies and dates in a variety of locales. Check out the spinner demos and spinner documentation for more details. The tooltip widget supports a wide variety of uses: local and remote content, custom positioning and animation, mouse tracking, event delegation, and more. Check out the tooltip demos and tooltip documentation for more details. The accordion widget has undergone an API redesign, making it more consistent with other widgets and providing better animation support. Make sure to read the upgrade guide so you can migrate away from the deprecated APIs. The tabs widget has undergone an API redesign, making it more consistent with other widgets and providing better ajax support. Make sure to read the upgrade guide so you can migrate away from the deprecated APIs. The position utilty has undergone an API redesign, providing better collision detection and support for percent-based offsets. Make sure to read the upgrade guide so you can migrate away from the deprecated APIs. We’ve added a lot of functionality to the widget factory, especially related to instantiation and inheritance. There are lots of new features for widget developers and a few new APIs and improvements for widget users as well. Check out the upgrade guide for more details. We put a lot of effort into making accordion, autocomplete, tabs, menu, spinner, and tooltip as accessibile as possible. Unfortunately ARIA still needs some work before it can be used without hacks, but we’re working closely with standards bodies, browser vendors, and the accessibility community to improve web accessibility beyond jQuery. Our documentation site now includes details about keyboard navigation for each widget. All effects files have been renamed to match the jquery.ui. *.js naming pattern. If you’re using individual effect files, you’ll need to update your file references. As mentioned above, many plugins went through API redesigns. As a result, many existing APIs were deprecated. These APIs will be removed in 1.10.0. The 1.9.0 release includes a flag to disable all deprecated APIs, allowing you to determine if your code is ready for 1.10.0 even before it is released. There are full details on how to use the flag in the upgrade guide. 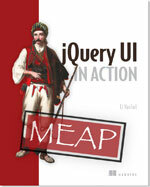 jQuery UI 1.9.0 supports jQuery 1.6 and newer. That’s 11 versions! Multiply that by the number of supported browsers and you’ve got quite a support matrix. Assuming you’re not reading this in a feed reader or some other syndicated format, you’ve probably already noticed that our web site has a brand new look. The sites are still under development, so please bear with us as we add more content and improve upon the design. We’ve also deployed a brand new API documentation site which includes a lot of information that was missing from the old site. If you’re interested in helping improve any of our sites, they’re all hosted on GitHub now, with the repository names matching the domain names. For example, the repository for jqueryui.com is https://github.com/jquery/jqueryui.com. See the 1.9 Upgrade Guide for a list of changes that may affect you when upgrading from 1.8.x. For full details on what’s included in this release see the 1.9.0 Changelog. You can read more about the API redesigns in a previous blog post. Thanks to all who helped with this release, specifically: 2Toad, aaronpeterson, acheetham, acimeha, acwhite, Adam Baratz, adam j. sontag, Adam Parod, aidan, aifam5, Alberto Fernández Capel, Alberto Monteiro, Alex Dovenmuehle, Alex Rhea, AlexW, Amir E. Aharoni, Andrew Newcomb, Andrew Powell, artyv, aschild, asgeo1, AsherMaximum, awgy, AzaToth, azendal, Azhrei, Baoju Yuan, basti, beatryder, bekok, Ben Boyle, Ben Hollis, Benjamin Sterling, Bernhard Sirlinger, Bertjh, bluecabbie, BobbyStealz, borsuk, bruce511, bthompson00, bugbegone, Campbell, Carl Fürstenberg, [email protected], Carson McDonald, certator, cherif, Chris Kelly, Christopher McCulloh, clear00, Cloudream, coling, collin, coredan, Corey Frang, cosmicnet, Courthead, cozydozy, creage, crumbles, cs94njw, CTAPbIuMABP, ctrlaltdev, cyberboy, d.wachss, dalibor983, Dan Heberden, danbhfive, Daniel Steigerwald, Danny Trunk, dannyzit, Dave Methvin, Dave Stein, David De Sloovere, David Leal, David Murdoch, David Petersen, David Soms, dblood, dclawson, dcohn, ddstreet, deckberg, Den, dennydaugherty, Diego, dkiselev, dlee, dmcmeans, dmitriy.paramoshkin, Dmitry Petrov, dominiquevincent, doomedelite, Doug Neiner, DouglasKing, dwebb66, dwt, ebspromo, Eddie Monge, eduyanez, Edward Faulkner, efoster, Eike Send, Eneko Illarramendi, epascarello, ergec, eric.muyser, ericw, EungJun Yi, Everett Zufelt, ExplosionPills, eXtreme, fdemmer, feklee, Felix Nagel, fernando1124, fiance, Florian Gutmann, fofanafi, G Karunakar, Garrison Locke, garyz, Gaëtan Muller, George Marshall, Gilmore Davidson, Giovanni Giacobbi, Glenn Goodrich, gpbmike, gromo, guettli, Guillaume Gautreau, haeberle, Hans Hillen, haraldo, Harri Kilpio, Heiko Henning, Herbalite, Hogan Long, Holger Rüprich, hoxworth, huemorgan, hughlomas, hyperlink, iainxt, idavemm, igor milla, Ildefonse, Infeligo, irrational, israelrios, itsadok, Ivan Peters, J. Ryan Stinnett, j.hermsen, Jack Hsu, JackT, Jacob, James Khoury, jamiejag, Jared A. Scheel, jaredwilli, Jason Davies, Jason Moon, Jason Prell, JasonBerry, Jasvir Nagra, Jay Merrifield, Jay Oster, jbergenthal, jdalton, jdart1, jdomnitz, jdufresne, Jean-Francois Remy, Jeff Remy, Jeff Roush, Jelly, Jellyfrog, jenters, Jesse Baird, jgv, Jiayi Yang, jihohan, jitter, jjross, Jo Liss, joaoeiras, John Firebaugh, John Resig, john.culviner, johnashenfelter, johntrepreneur, jomyjohn, Jon Palmer, Jorge Barreiro, jorisdekinder, josh3736, [email protected], jsgoupil, JustinMacCarthy, Ján Suchal, Jörn Zaefferer, kapouer, Karl Kirch, Karl Swedberg, Kato Kazuyoshi, kbwood, Ken Penn, keturn, Kevin Dalman, Khaled AlHourani, KhoaTon, Klaus Hartl, kliehm, kobrigo, kolak, Kouhei Sutou, kradmiy, Kris Borchers, Kyle Florence, Kyle Wilkinson, Lado Lomidze, Lee Rowlands, levushka, lex1982, liangent, Lim Chee Aun, Lopo, lorak110786, lorife, lotjuh, lschult2, Luis Dalmolin, lukas.olson, Lukasz Lipinski, lukebrookhart, m157y, macarthy, Maciej Mroziński, maggiewachs, maljub01, malsup, Marcel Toele, [email protected], marcneuwirth, marcos.sousa, Marian Rudzynski, Mario Visic, Mark Aaron Shirley, Mark Johnson, marteadrian, Martin Hoch, Martin Solli, martinf55, Marwan Al Jubeh, maspwr, Matt Hoskins, Max Schnur, MaxPower15, mdellanoce, meh-cfl, Michael DellaNoce, Michael P. Jung, michaelmwu, Michel Weimerskirch, midlis, Mike Hollis, Mike Sherov, Mike Stay, milan, millman, mirv, mkemmerling, mkowalski, mofle, mohdyusuf, monoblaine, moxen, mpetrovich, mriffault, MrMaxx, MSwaff, mwlang, myr, Nate Ferrero, neil.pugh, Nick_Craver, NielsJanssen, ninjaxify, nirvanaforu, nogwater, nonplus, offnight, ohlavacek, Olson.dev, onaiggac, oojacoboo, ORIGINALUSRNM, ornicar, ostgals, pantsmann, paul, Paul Irish, Pavel Stetina, pegomes, pheiberg, Philip Graham, Philipp Benjamin Köppchen, Phillip Barnes, Pierre-Henri Ausseil, piouPiouM, pkruithof, pmawhinney, polomoshnov, poplix, Probot, pulpulpullie, qicboy, r2363c, Rafael Xavier de Souza, Ralph Whitbeck, reedmaniac, Richard D. Worth, Rick Waldron, ripper234, Rob Loach, RobinHerbots, Robson Braga Araujo, RobWilkinsonUK, rockwild, roman.chizhevsky, ronchalant, rozwell, rp, RR1000, rthapar, rubyruy, ryanolton, Saji, saks, Samuel Cormier-Iijima, sc0rchin, Scott González, scott.moore, scr4ve, sergids, sexconker, sgruenholz, shadwdrgn, Shahyar G, Shannon, sigmasquirrel, Simon, Sindre Sorhus, SineSwiper1, sixhead, skeetergraphics, skorpan, snb, snover, sp, speaktorob, spekary, SpoonNZ, stafil, stefanlivens, steptom, [email protected], Steven Roussey, stojce, stringfold, Stéphane Raimbault, sunaku, suner, sunshine, synek, T.Lindig, t34, tadudek, tashekelahi, teaspoon000, techtangents, tfotherby, thedoc, thomsbg, ThrushAAX, Tiago Freire, ticketmaster, tillkruess, Timmy Willison, Timo Tijhof, TJ VanToll, Tobias Brunner, Todd Parker, tomgallacher, tomykaira, Tony Ross, Trey Hunner, trixta, tyron, tzkuei, victorq10, Viktar Varvanovich, vrtxf, watanabe, Wesley Walser, whittet, William Griffiths, William Kevin Manire, wkmanire, xaav, Xavi, xirzec, yourfavorite, ZeK, Ziling Zhao. If you have feedback on us doing our final release for jQuery UI 1.9.0, feel free to leave a comment below. Thank you.